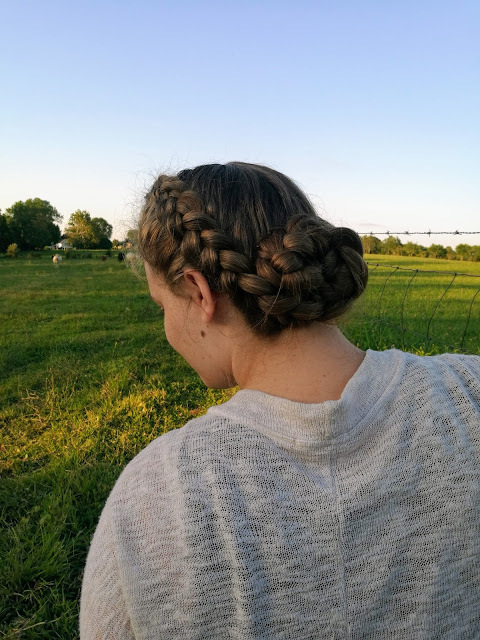 Dutch braids are the opposite of a french braid. 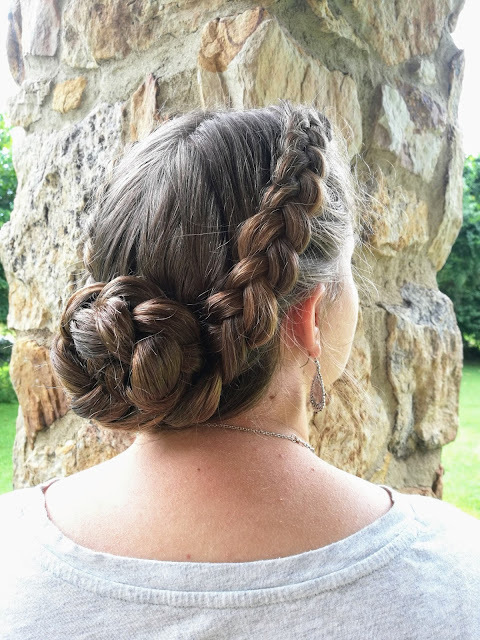 Instead of taking the strands over, like you would normally do in a french braid, you take the strands under the middle strand as you braid. It’s hard to explain, but there are countless Youtube videos to help! And of course the best thing you can do is practice. Here you can see I gathered the pigtails together into a bun at the base of her neck. Which ended up really elegant looking. 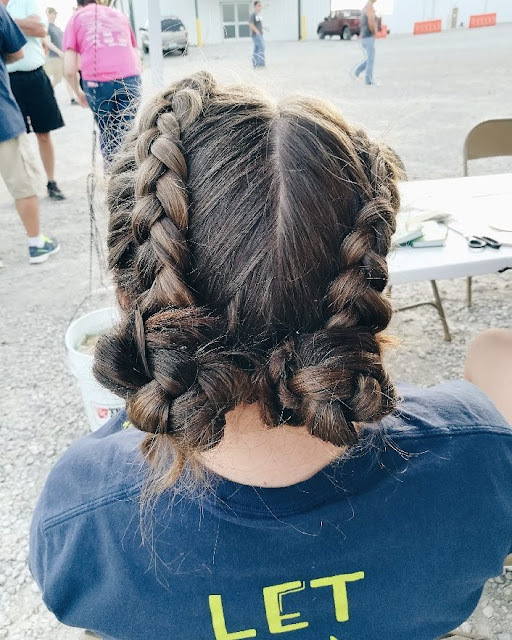 Hope you liked the hairstyle!